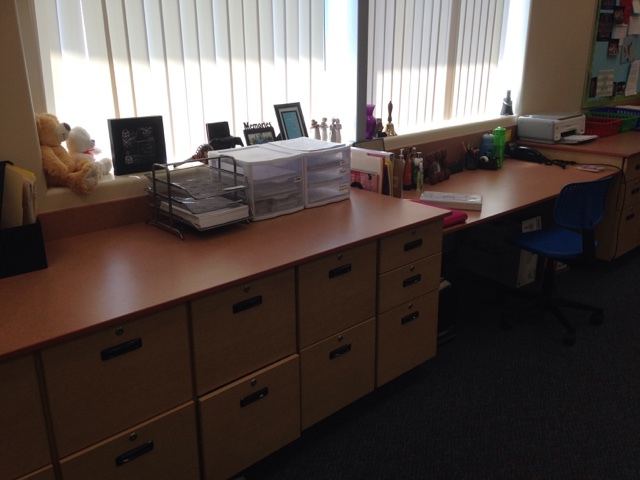 Sierra's View: Classroom Before/After Makeover! Well, I (we) did it. We survived the first week of school. It was stressful, exhausting, exciting, and fun. The first week of school for a teacher is always incredibly tiring. Its almost as if I have been walking around in a daze for the past few weeks (this happens every year. And every year I seem to forget! Ha. I hear this is similar to having a baby. If women remembered the pain, we wouldn't do it again!). 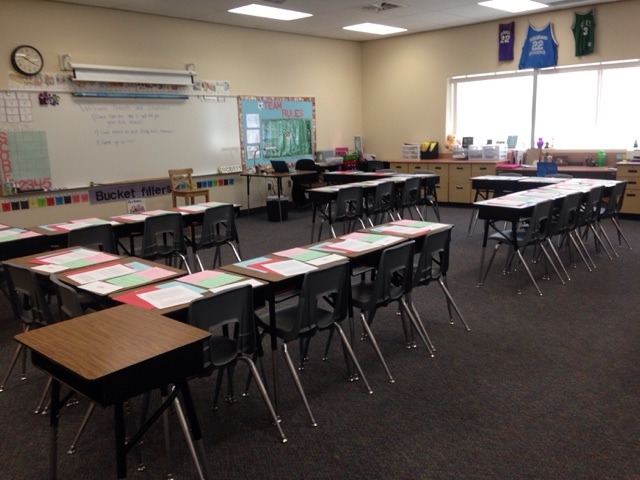 I have spent the past few nights at home grading pre-assessments, getting to know the students, and organizing a classroom. It is Monday morning and I am back in my classroom ready to rock and roll on the second week of school (or still half asleep from exhaustion. My body isn't used to this!). 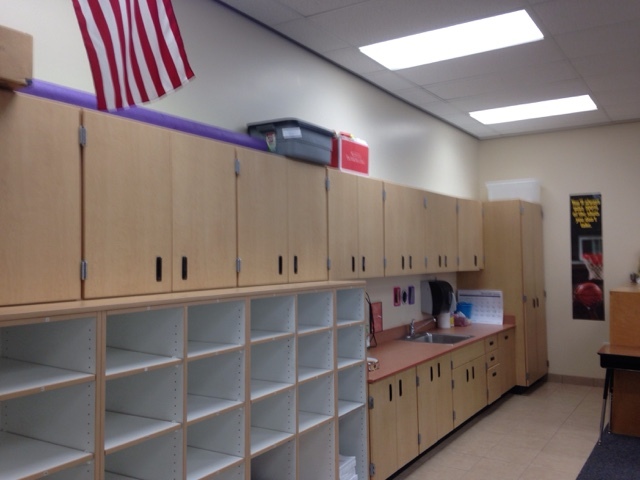 This past summer, with the help of some AMAZING family and friends, I moved classrooms. My old classroom was, quite honestly, the worst room in the school. It had two doors that all the classes walked by consistently, the a/c didn't work half of the time, it was small, it was the oldest room in the school, it only had a little window, etc. So, this year, when my co-worker left us, I snatched her room up in a second. It is newer, bigger, has awesome windows with great natural light. Essentially, it is a A+ room (you see what I did there?!). I wanted to show you all of the hard work that was put into this classroom. I am constantly amazed that this was completed at all (one day before back to school night…talk about procrastination!). *I wish I would have taken more before pictures. You should have seen this room before THIS picture. There was so much teacher crap. I had to take 18 boxes of old books and crap to DI. It took me a week just to clean out the room. Teachers are hoarders, man! Haha. 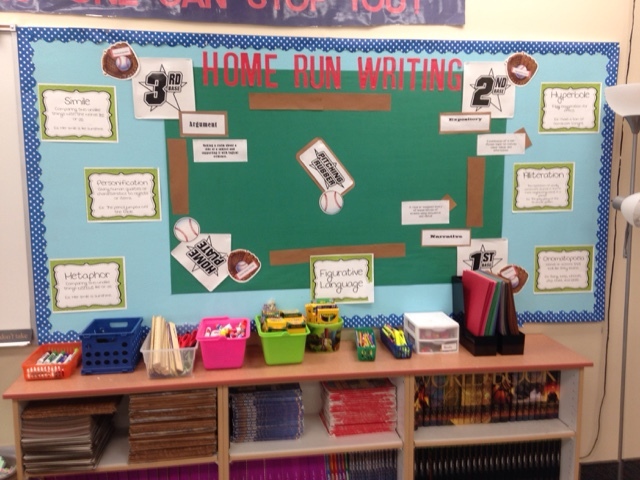 I decided to stick with the "Sports" theme because so much of what we do in my class is about teamwork and work ethic, which I correlate a lot. Plus, my sixth grade boys like it, I think. Love love love this quote. Back wall. 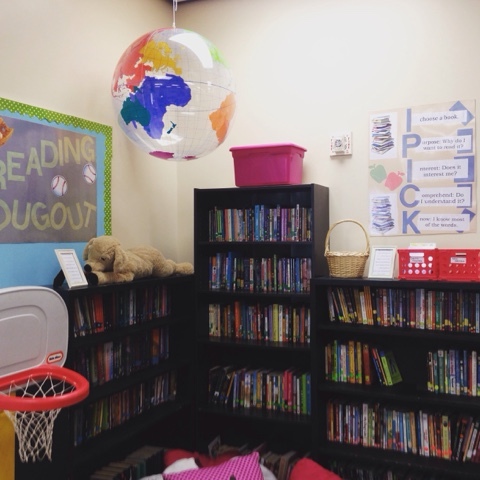 My favorite corner of the room--the "Reading Dugout." I could stay there all day. See instagram. I like to set up my classrooms with groups of "L's." 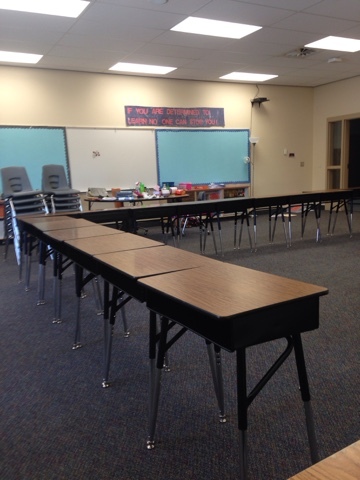 This allows the students to face the front of the room, but still keep them in rows and groups. Perfect combination. You can see my awesome jerseys hanging up and my wonderful windows! Huzzah! Believe it or not, I still have to remind them how to walk in the hall. This is a fun poster that I use right by the door. 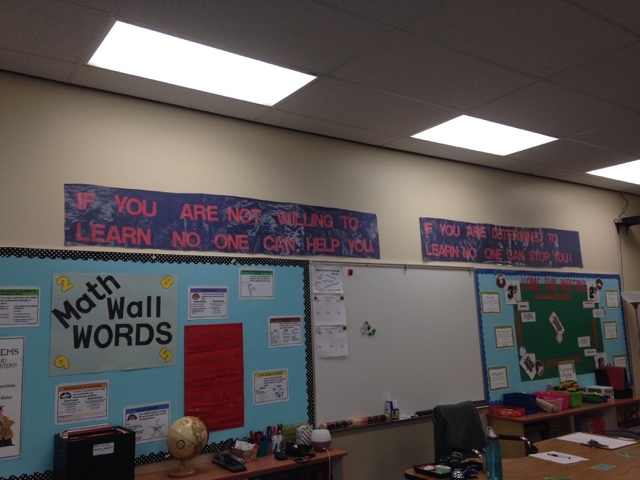 My students' favorite wall in the classroom. 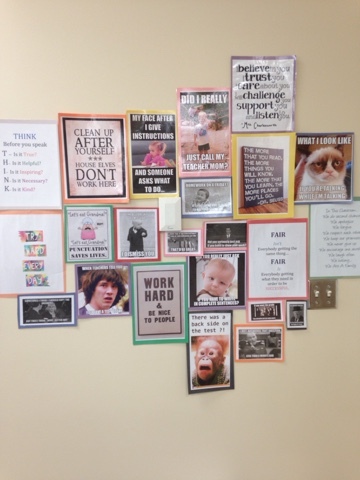 It is a bunch of meme's that correlate with our class goals and rules. It makes for a fund way of reminding them of their student behavior. You may have to zoom in to see what each of them says specifically! 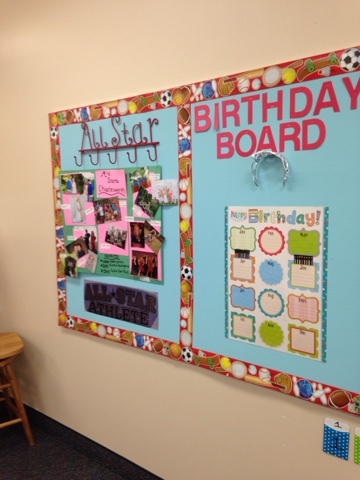 Our "All Star of the Week" and Birthday board. Despite what they may say, these students love to have their picture up on their birthday and to be the All Star of the Week! 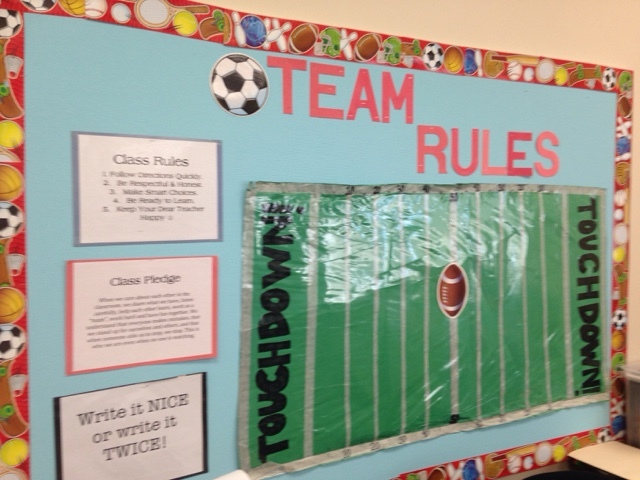 Our team rules, class pledge and our "football class management." When students get a touchdown, they get a class party. My desk, files, and WINDOWS. 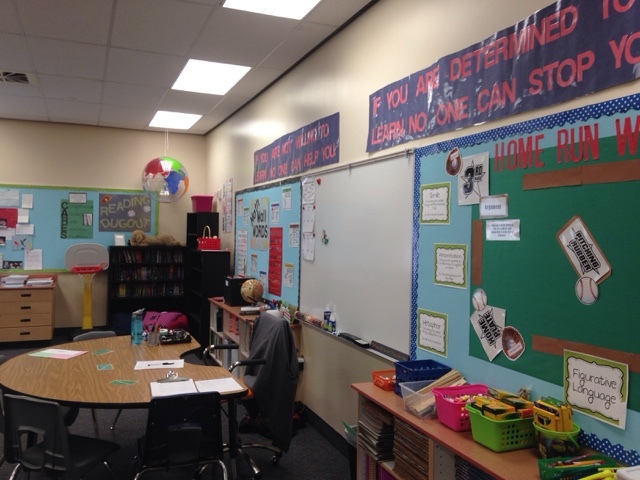 What is your classroom theme? 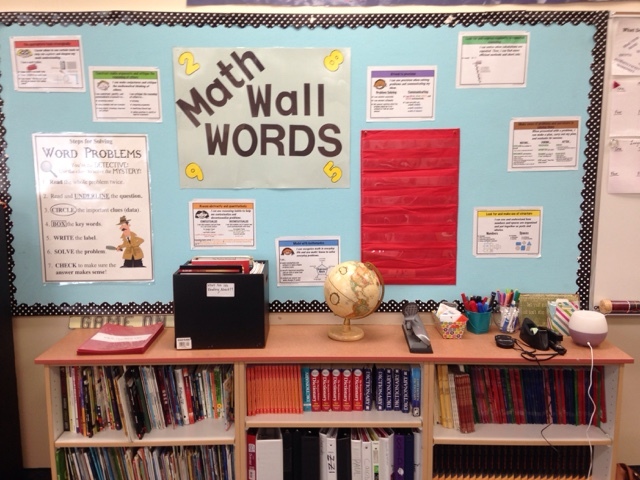 Do you remember any of your teachers' classrooms? What did you like about them? Your classroom is gorgeous!! Seriously! Awesome readings! All the images are really superb to learn something new. By the way, I have pleased to read the entirety of the post. which is the best essay writing service? Please let us know. I need some essay writing for me. Thank you so much and keep posting things like this. I did some volunteer work in a classroom for 1 afternoon a week for a couple of terms which really helped PhD dissertation writing experts. 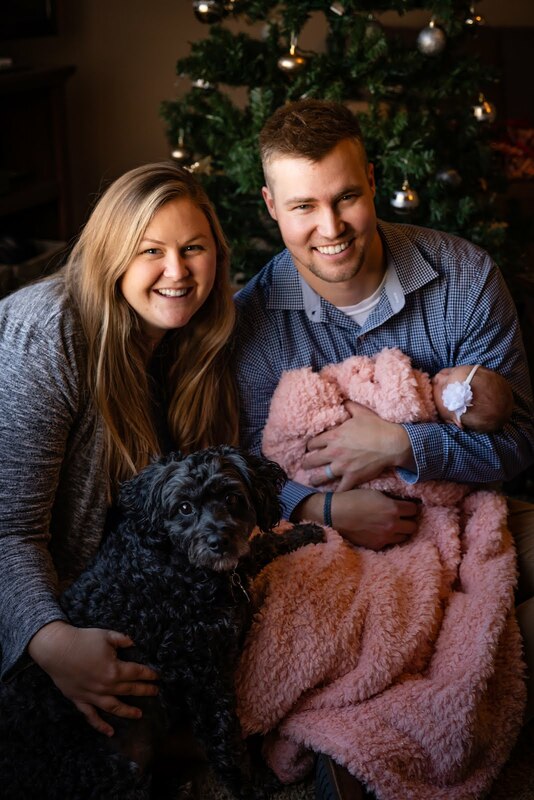 I focused on precisely what I wanted to learn conduct organization methods and general classroom routine and talked with the staff at the school. Another idea is to reflect doing some work at a holiday/summer club as a play worker or something similar contingent on the age range you’re hoping to teach. The sooner students can begin positive routines, the greater the chance that the teacher will run an effective classroom for the rest of the year. Moreover, student achievement is directly related to effective classroom management.